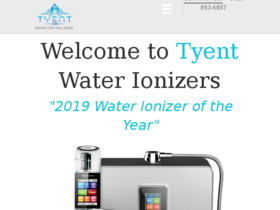 Save 30% off ionizers with this coupon code from Tyent. Save 10% Off TYgo Portable Alkalizer with this coupon code from TyentUSA. Shop Tyent USA online to save up to 75% off popular products and accessories. Check out Tyrent online for their latest special offers.